Taken from records in UCT Library (see above). Include extensive discussion of community interactions, plans and disputes, as well as hints of theft and innumerable efforts to fire the Rabbi of the day. Separated into parts 1, 2, 3 and 4; these are all large PDF files, to allow enlargement of images. Provide extensive lists of members of the congregation. One book from larger set of records in UCT Library (see above). Large PDF file. 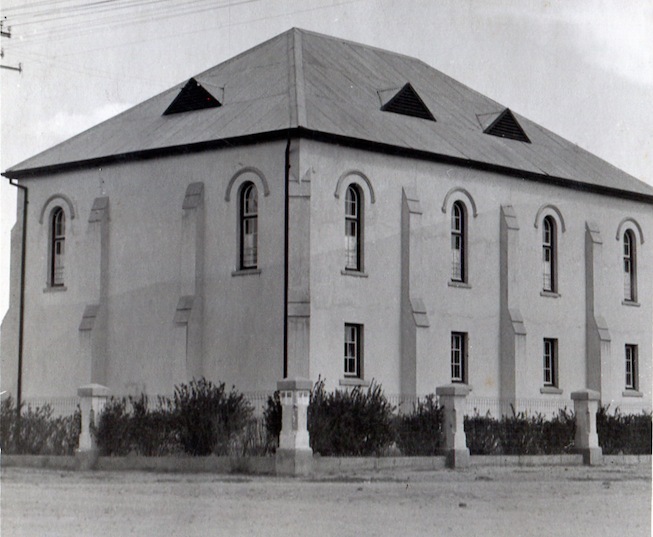 Occasional brief mentions of Upington, including the apparent beginnings of building a synagogue in 1906-7 (see minutes of congregation meetings above for 1915 planning and eventual 1921-2 construction). Includes role of Nurick brothers. An extensive memoir of life in Upington in the 1920s and on that includes a detailed list of Upington Jewish residents. A family history that includes coverage of the family's time in Upington and at Zwartmodder. Not so much biographical as a work, set in and near Upington, inspired by real people, mainly Max Gordon. Several other former Upington residents are mentioned by name. 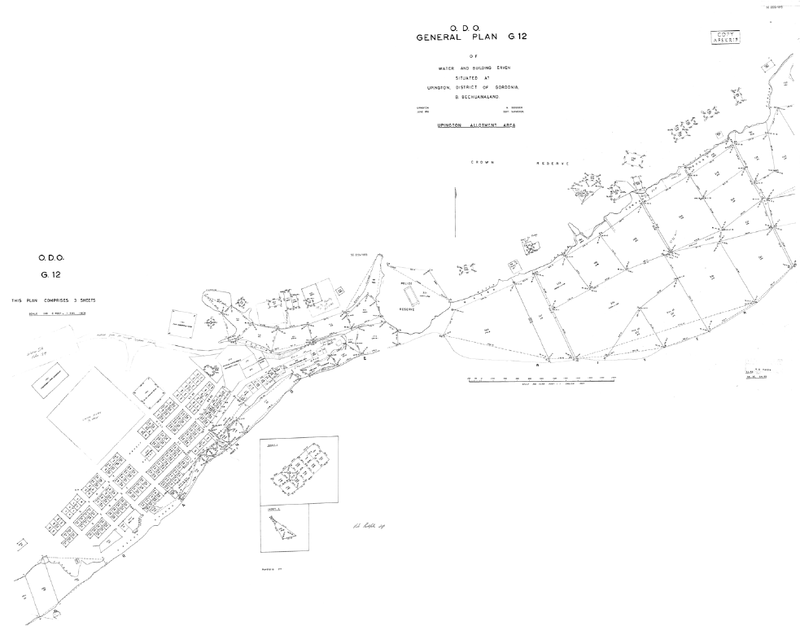 Assembled from Surveyor-General maps 10143061 and 10143062 (see also 10143057). This is a large file and may take a while to load. Extracted from Further Correspondence Respecting the Affairs of Bechuanaland and Adjacent Territories. See nos. 4, 7 and 22 (with enclosures). No. 22 discusses history of settlement in the area and no. 4 status of residents in 1888. Extracted from British Bechuanaland Proclamations, 1885-1893. Implementation of the kind of change in governing structure specifically recommended against in 1888-1889 correspondence above. Extracted from British Bechuanaland Proclamations, 1885-1893. Limited listing; see 1894 version below for more extensive set of regulations. Extracted from British Bechuanaland Proclamations, Vol. II, 1893-1895. More extensive listing than for 1889 version above, covering rules on dogs and livestock, disease management, construction and fencing, removal of night-soil, etc. Extracted from Cape Times Law Reports, Vol. XV. Includes descriptions of Upington and the "Lost City" of the Kalahari. Includes descriptions of Upington and vicinity and interview with Mr. Harris of Zwartmodder. Descriptions of Upington and vicinity and local personalities. Mentions some Jewish landowners (Upington residents). Includes roles of several Jewish residents of Upington. 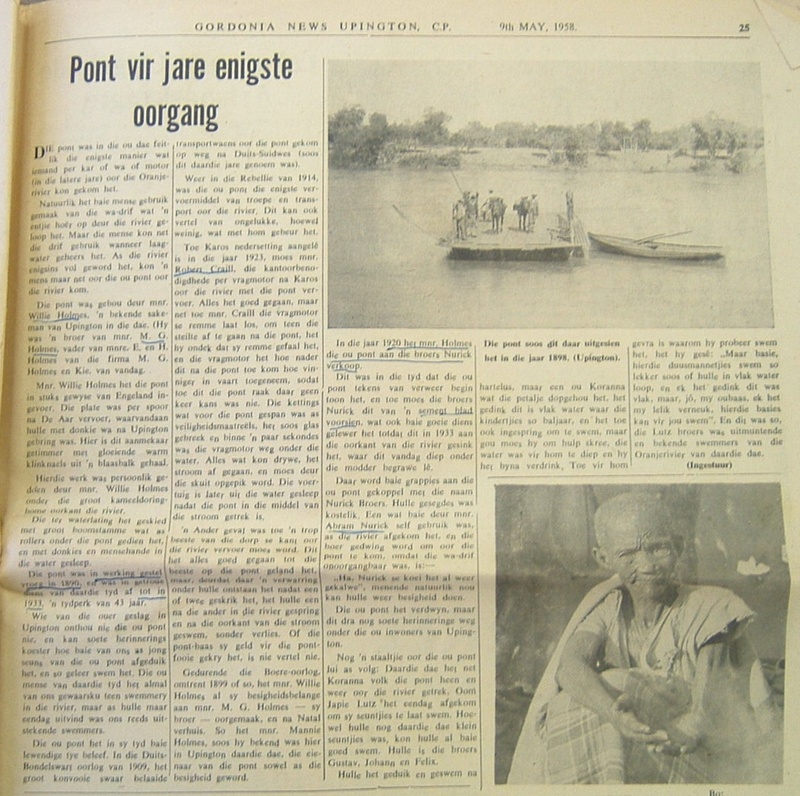 Weekly newspaper, formerly the Gordonia News, published since late 1920s. Back-issues of on-line edition (available since 2013) are free. Site includes history, photos and anecdotes; several Jewish players are included.